The Florida Rural Broadband Alliance, LLC (FRBA) is a limited liability company formed in March 2010 by two non-profit economic development corporations – Florida’s Heartland REDI (Regional Economic Development Initiative) in south central Florida, and Opportunity Florida in northwest Florida. This coalition of rural and economically disadvantaged communities encompasses 15 counties and has been designated by the Governor as two Rural Areas of Critical Economic Concern (RACEC). NEO’s Scope of Work: FRBA was instructed by NTIA to re-vamp and re-work their financial and business plan for implementation of their grant, as their grant implementation had fallen behind schedule and they were in jeopardy of losing their grant funding. Our team helped to restructure FRBA to meet the NTIA CCI requirements and engaged with FRBA in developing their business and financial plan. We wrote the go-forward 90-day plan for their success, and wrote several RFPs for various components of their CCI implementation. We re-developed their broadband plan to get this project back on track. The Result: Our efforts put FRBA back in good standing with NTIA and they successfully built their network. Per our recommendation, FRBA took back the management of the network’s implementation and operations, giving them control over the oversight of how money was spent. 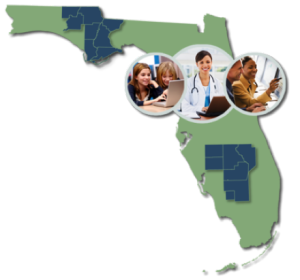 The network serves the following counties: Calhoun, Collier, DeSoto, Franklin, Gadsden, Glades, Gulf, Hardee, Hendry, Highlands, Holmes, Jackson, Liberty, Okeechobee and Washington counties.